Wagyu (Japanese, from wa “Japanese” + gyu “cattle, beef”) is pronounced “wag-you.” Wagyu (cattle) are considered by the Japanese as one of their national treasures. Most people in the United States have heard of the world famous “Kobe Beef” brand which is Wagyu beef harvested from steers that were born, raised, and harvested in the Hyogo Prefecture in Japan. Matsuzaka Beef brand is even more exclusive and is produced from female cattle in the Hyogo Prefecture as well. Wagyu beef is known for its extreme marbling, flavor, and tenderness. 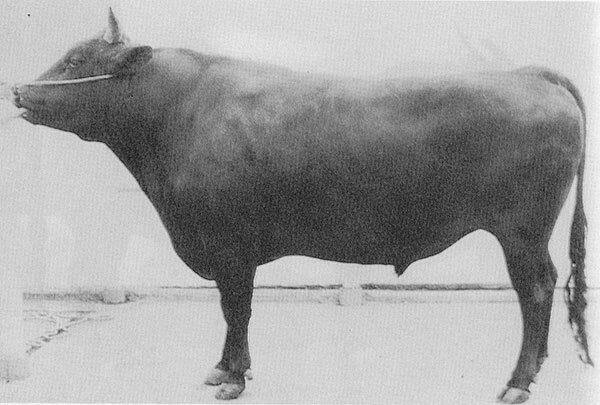 The most unique attribute of Wagyu beef is the abundance of fine monounsaturated fat. This marbling gives the beef its moist, velvety tenderness and rich flavor that no other beef provides.